Underwater animated children’s feature. 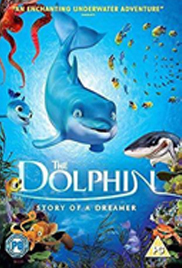 Tired of constant fishing, Daniel Alexander Dolphin (voice of Robbie Daymond) gives into the calling of the sea, decides to leave the comfort of home and sets out on a dangerous adventure to discover his true destiny. Along the way he meets Carl the squid (also Draymond) and together the pair must evade the dangerous predators lurking in the ocean.